The Iowa Supreme Court has upheld a lower court ruling requiring Cedar Rapids Police to release investigative reports surrounding the shooting by a white officer that left a black man paralyzed. Officer Lucas Jones shot Jerime Mitchell in November of 2016 as Mitchell drove away from a traffic stop with the officer clinging to his truck. A dash camera video of the incident was released — but police sought to block the release of their investigative records in a civil trial against the department. Iowa Freedom of Information Council executive director, Randy Evans, says the records did not involve any confidential informants or other such information. “The court said that the trial judge correctly balanced the interest in access to the documents against the interest of law enforcement in having their investigations be confidential forever,” Evans says. Evans says the FOI Council understands the need to keep some records confidential. “We’re not wanting to impede ongoing investigations — but at a certain point the public is entitled to look at certain material in police investigations to judge for themselves as to whether the office acted appropriately or not,” according to Evans. He says the police should not be the ones who filter they type of information released.”Because that could lead to a situation where materials are released if they are not favorable to law enforcement, of if they are embarrassing to law enforcement,” Evans says. 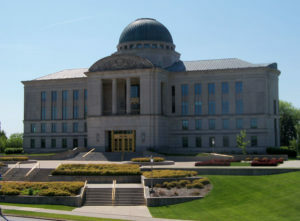 The Iowa Supreme Court ruling says police investigative reports do not lose their confidential status when the investigation closes — but it says there is an exemption from confidentiality for basic facts about the incident based on a balancing test for the need of transparency. The Supreme Court says the district court did not abuse its discretion by denying the request to protect the records, and included enough limits to address any confidentiality issues. The FOI’s Evans says this is a positive for open records. “The underlying reasoning and rationale that the court used is heartening I think to advocates on behalf of government transparency,” Evans says. No criminal charges were filed against Officer Jones or Mitchell following the shooting. The civil suit was filed in February of 2017 by Mitchell and his spouse against officer Jones and the City of Cedar Rapids alleging negligence, assault and battery, intentional infliction of emotional distress and seeking compensatory and punitive damages.